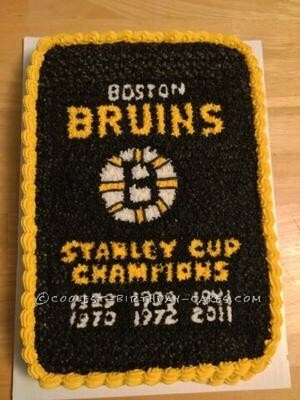 This Boston Bruins Banner cake was for my brother’s birthday. 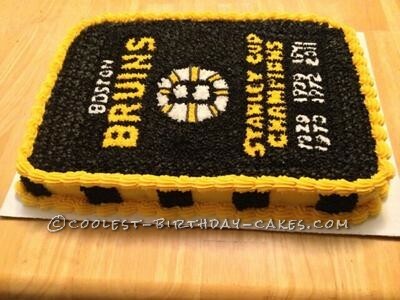 He is a big Boston Bruins fan and had hinted to me that he would like a Bruins cake for his birthday. The cake was a vanilla cake 9×13. For the icing I made the Wilton recipe for butter cream frosting. I transferred the design I wanted with piping gel and used it as a guideline. I used a star tip for the decoration. It was easy and fun to make and was a big hit!